All cancellations shall be notified in writing. -	Bookings cancelled on the day of arrival at the resort or during the stay will be charged in full. There will be no refund for stays shorter than scheduled. City Tax: 200 XPF Per Person, payable on check-out. No refund will be made for whole or partial stay components confirmed and not utilized after arrival at the Resort. 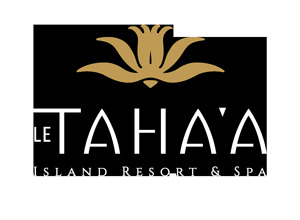 Should cancellation be the fact of Le Taha'a Island Resort & Spa, guests will be accommodated by Le Taha'a Island Resort & Spa, at the resort’s expense, in equivalent properties available (this shall not exceed the total amount of the stay paid by the guests). If for any reason beyond its control, the Resort is unable to perform any obligation within this agreement and such failure is caused by (and not limited to) acts of God or war, strikes, fire, Government regulations, disaster, civil disorder, curtailment of transportation facilities or any other extraordinary occurrences making it illegal or impossible to provide service, such non-performance is excused and the Resort may terminate reservations without any further liability.